George F. McClure was born on February 9th, 1933 in Jacksonville, FL, and received bachelor’s and master’s degrees in electrical engineering from the University of Florida, in Gainesville. He became an IEEE member in 1957 and a senior member in 1975. He began his professional career as an officer in the U.S. Naval Reserve. Between tours onboard the USS Terrebonne Parish, he worked at Radiation, Inc. (now Harris Corp.) and was a physics instructor at the U.S. Naval Academy, in Annapolis, Md. Following five years of active duty, he remained in the Navy as an operational control officer for antisubmarine warfare, and eventually retired with the rank of commander. McClure also worked as an electrical engineer for more than 30 years at Martin Marietta (now Lockheed Martin), in Orlando. He specialized there in electronics for military communications systems and cellular technology. McClure was an active volunteer, serving most recently as chair of the IEEE Life Members Committee and the IEEE Region 3 Professional Activities Operations Committee. He was also a member of the IEEE-USA Communications Committee, and was the technology policy editor for Today’s Engineer, IEEE-USA’s online magazine. In addition, McClure was cochair of IEEE SoutheastCon 2012, held in March, in Orlando, Fla.
His past roles included Region 3 director, from 2006 to 2007. His initiatives with Region 3 included improving the use of existing capabilities to deliver services more effectively to members, providing tools and training to enhance volunteer recruitment, continue to mentor initiatives through LDO program, enhancing member and employer relations, creating a "Help Desk" that will respond to specific requests for information from Region 3 volunteers, continuing the emphasis on the Teacher In-Service Program (TISP) that was initiated in Region 3, developing programs to encourage transnational exchanges, and enhancing the region capability to increase income. Progress on meeting these initiatives was reported periodically by committee chairs. 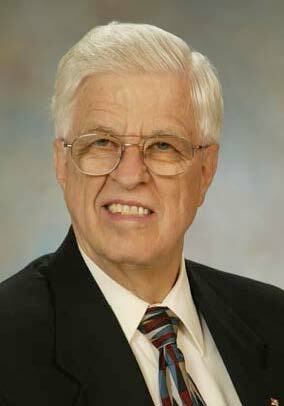 He was also president of the IEEE Vehicular Technology Society, serving on its board of governors for 20 years. He received several IEEE awards, including the 1999 Robert S. Walleigh Distinguished Contributions to Engineering Professionalism Award—the highest honor bestowed by IEEE-USA. McClure was elected to Fellow in 1981 "for contributions to mobile telephone communications systems engineering and the creation of new and more effective methods of spectrum utilization" and became a Life Fellow in 1997. McClure was a member of several societies including the IEEE Computer, Electromagnetic Compatibility, Electron Devices, Geoscience and Remote Sensing, Professional Communication, Signal Processing, and Vehicular Technology societies. In addition to his IEEE volunteering, McClure was active in lobbying in congress for pension portability, high-tech immigration, R&D funding and limits on H-1B visas, and was active in his community of Orlando, and worked most recently to oppose a proposal for a light rail. McClure is survived by his wife, Glenda Magee McClure; his son, Stephen and wife, Susan, of Halethorpe, Md. ; his daughter, Michele and husband, Jack, of Silver Spring, Md. ; and his sister, Linda Kahn of San Francisco. Another sister, Louise McClure, preceded him in death. McClure’s grandchildren include Kevin and Lauren Riley, and Zachary Warden and Colin McClure. This page was last edited on 26 January 2016, at 16:20.